One of the largest industries globally, the construction sector, provides employment to millions of people and continues to be a key driver for many world economies today. For India, the construction industry is one of the largest contributors to its economy. With the rapid infrastructure development projects commissioned by the Indian government, the construction equipment sector is expected to generate revenues of up to US$5 billion by 2020. As a result, demand for construction equipment in India is expected to continue rising in the next few years. The importance of high-quality construction tooling and materials cannot be overlooked, as it helps avoid complications like the corrosion of embedded steel reinforcements and poor resistance to natural elements including fire, wind, and flood. Perfect Incorporated specialises in manufacturing welded articles through methods such as stamping, forging, machining, and tooling. Besides exporting its construction equipment to customers in Canada, Europe, Germany and the US, the manufacturer also supplies its components to multinational companies with subsidiaries in India. The manufacturer is also the parent company to Perfect Group and Perfect Forgings, and the three corporations are located in Ludhiana, India. The company specialises in manufacturing high-quality construction equipment such as scaffolding, pillars, and structures. Since its establishment in 2005, the manufacturer has meticulously monitored its measurement, calibration, and inspection processes. Each construction component is carefully measured by employees before production and after final-inspection stages using vernier callipers, height gauges, and fixed coordinate measuring machines (CMMs). In its production facility, the company manufactures equipment of varying sizes—small tools of 100 mm and larger pieces of up to 3 m—with a maximum weight of 15 kg. These tools are then combined to create different construction assemblies. The team needed measuring equipment complete with an accuracy of 0.5 mm to 1 mm, to provide support throughout its calibration, inspection, installation, and dimensional calculation stages. After comparing the technical capabilities of different portable 3D CMMs, the manufacturer identified Faro as its preferred choice, since its solutions fit their needs for calibration. The construction equipment manufacturer got in touch with Faro and clarified its requirements for measurements and applications. After assessing Perfect Incorporated s needs, Faro introduced its nine-feet Edge ScanArm HD–an advanced metrology solution that integrates the functions of the FaroArm with a hand-held laser scanner. The ScanArm is a seven-axis measurement solution that offers maximum data handling, high accuracy, and optimum efficiency for users. Adding non-contact measurement capabilities to the FaroArm, the ScanArm is able to scan even the most complex shape, and is ideal for measuring the different sizes of Perfect Incorporated’s construction equipment. Quality construction components including scaffolding, pillars, and structures are manufactured in-house. Since acquiring the ScanArm, Perfect Incorporated regularly utilises the device to calibrate and inspect the construction equipment and tools that are manufactured in-house. The ScanArm is now a key component of an important monitoring system at the plant floor, and is used weekly to detect errors before and after the production stage. With the ScanArm stationed on the shop floor, the team also achieved unprecedented savings in time and labour, as components do not have to be physically moved to a separate measurement room with controlled temperatures for accurate measurements to be taken. The manufacturer can now generate calibration data reports easily, without the hassle of filing manual reports. The ScanArm also delivers reliable, repeatable, and reproducible measurement data with every scan. 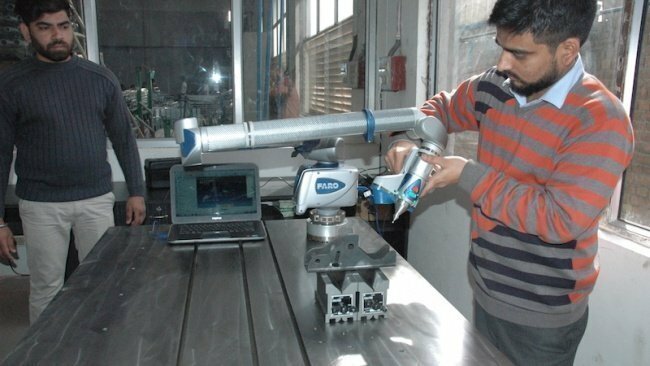 Before the ScanArm, the manufacturer had trouble obtaining data with similar reliability and consistency using other metrology solutions. 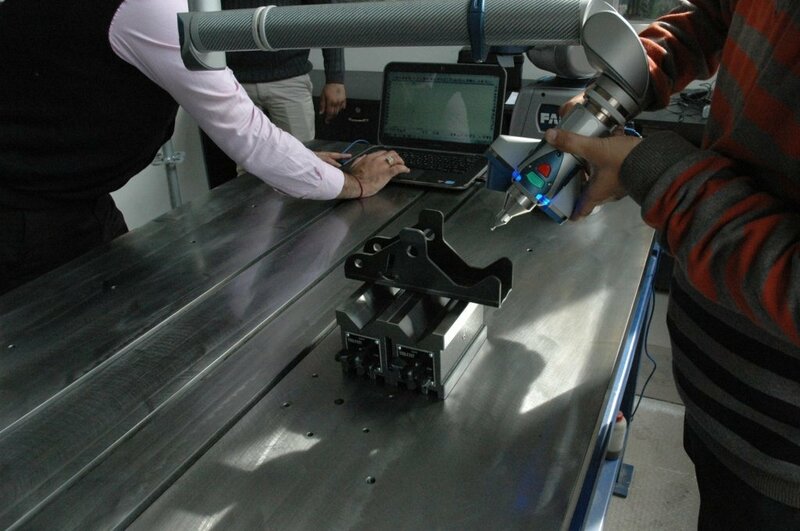 As an added bonus, the ScanArm is used to calibrate the company’s 1D machine, a four-metre long vernier calliper. “Previously, it was a struggle to inspect the tooling manufactured in-house, but we can now monitor the process easily with the ScanArm. We are truly enjoying the benefits that the ScanArm has brought, and without a doubt, we will expand our collection of FARO’s technologies as our business needs evolve–especially when we venture into reverse engineering applications!” emphasised Mr Singh. 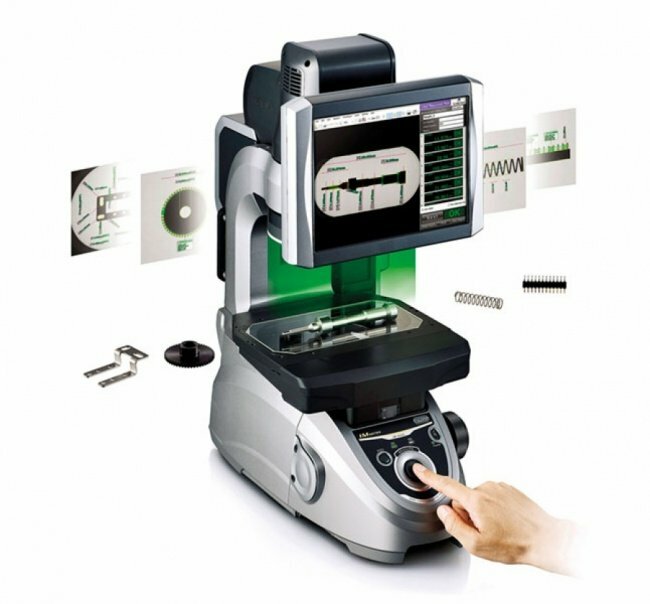 Additionally, the portability feature of the ScanArm allows employees to conduct measurements easily on the shop floor. 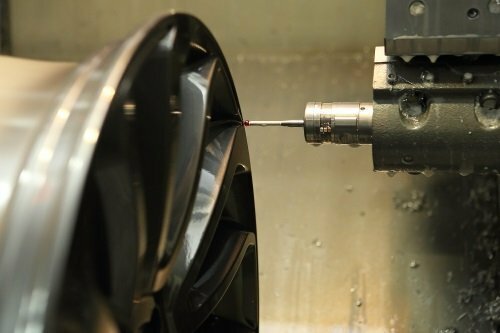 Frederick Wong, machine tool products manager, Renishaw Far East, shares with APMEN the role of machine tool probes play in the increasingly competitive automotive world.